The Passion Red version that was displayed outside the showroom got my heart racing with excitement but we were given the outlandish Rebel Blue. The racer blue drew us numerous stares which we weren't sure if it was the color or the car or us but we got used to that pretty quickly. 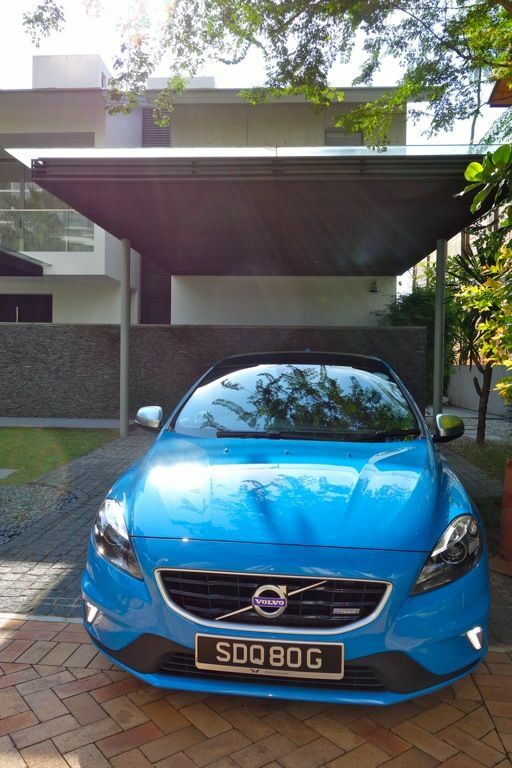 So here is a his and her review on the Volvo V40 R Design! S will give you the technical boy aspect and me on the superficial girly stuff. Heh. 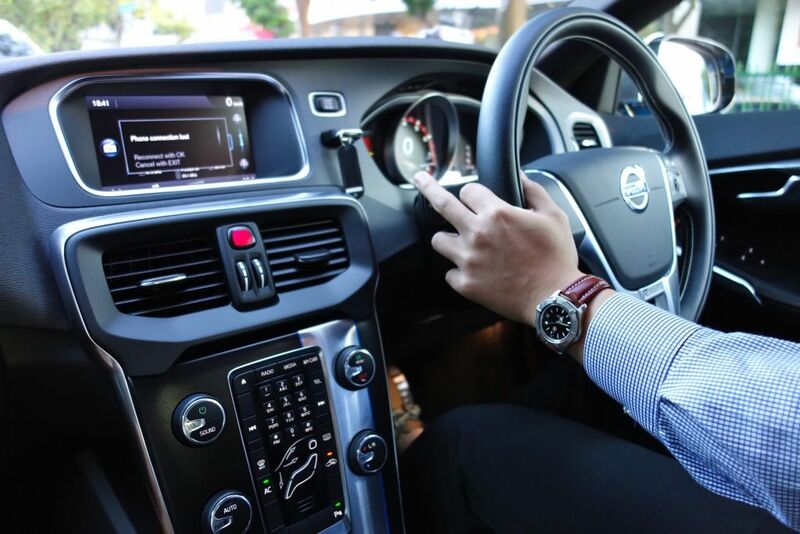 C: I was having fun playing with the bluetooth function which wirelessly connects my phone to the car, allowing me to play my favorite tunes and also receive and make calls without compromising on road safety. A USB port also allows for charging of my electrical devices, perfect for us digital natives. 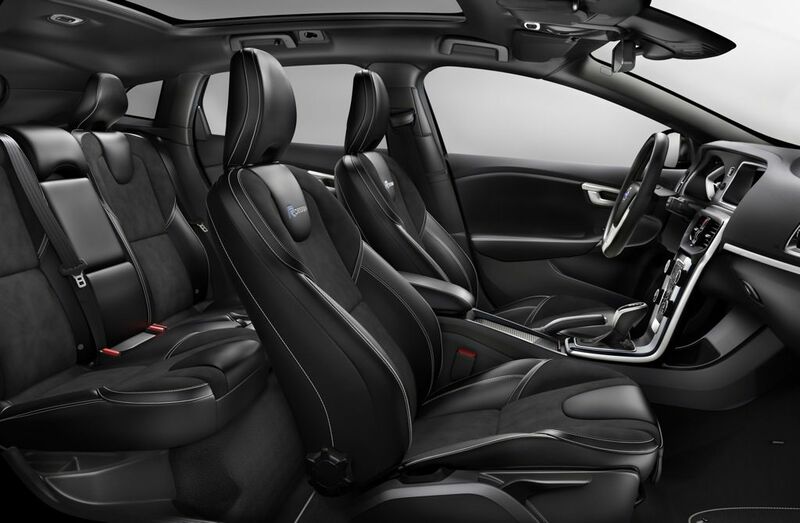 C: The leather interior was also very luxurious. I love the feel of fresh leather on my skin and couldn't stop touching the seat and panels. I was also glad to find out that the glove compartment doubles as a chiller for cold drinks! C: I'm used to being driven around and thus it was a little nerve wrecking for me to drive the car. 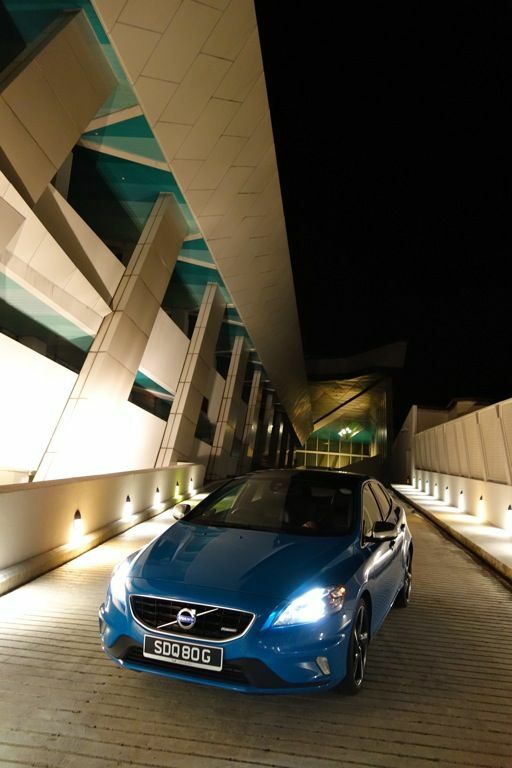 However, i found the V40 easy to maneuver with its small turning radius. 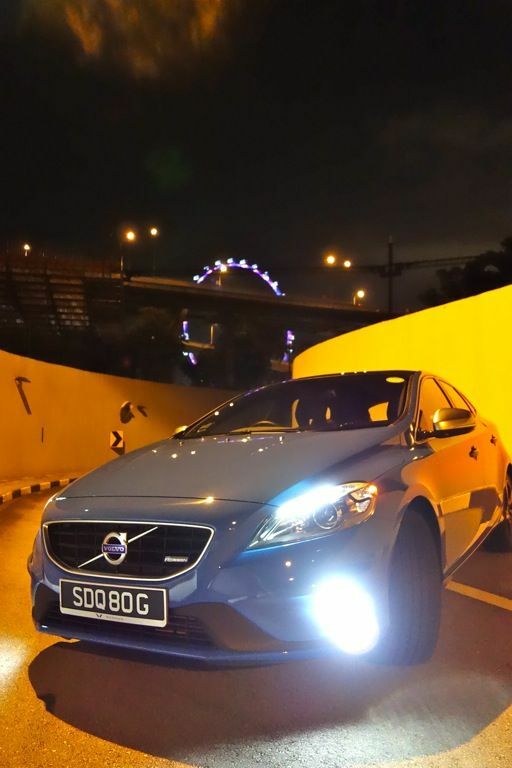 S: Having driven several Volvos, namely the S80 and the V60, i am happy to report that the signature volvo drive and feel is still intact, even in this compact package that is the V40. S: The ride quality was firm and the steering assuring, though it bordered on being a little too light during low speed maneuvering. The digital display worked best in the Performance mode, with the speedometer rapidly racking up the digits under hard acceleration. The smallish boot was also able to swallow a full sized samsonite suitcase for an airport run. 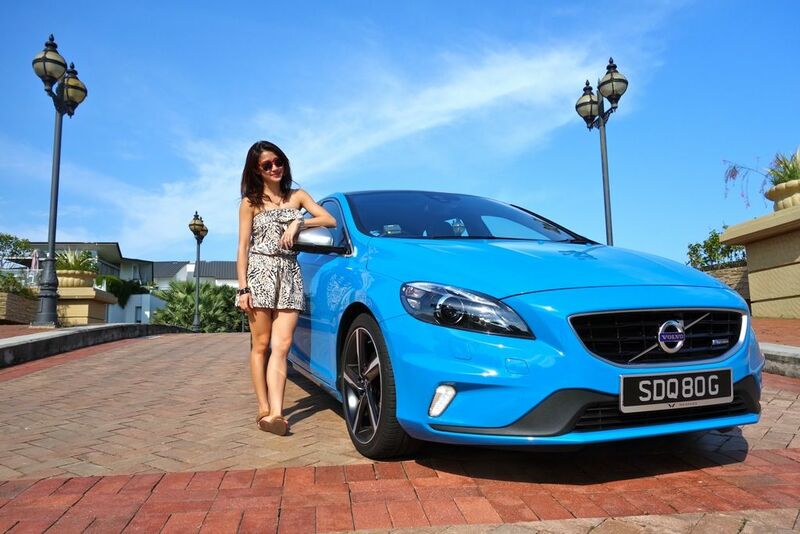 Our overall impression of the V40 would be that of a reliable, safe (Five star Euro NCAP rating) and sporty little hatchback. 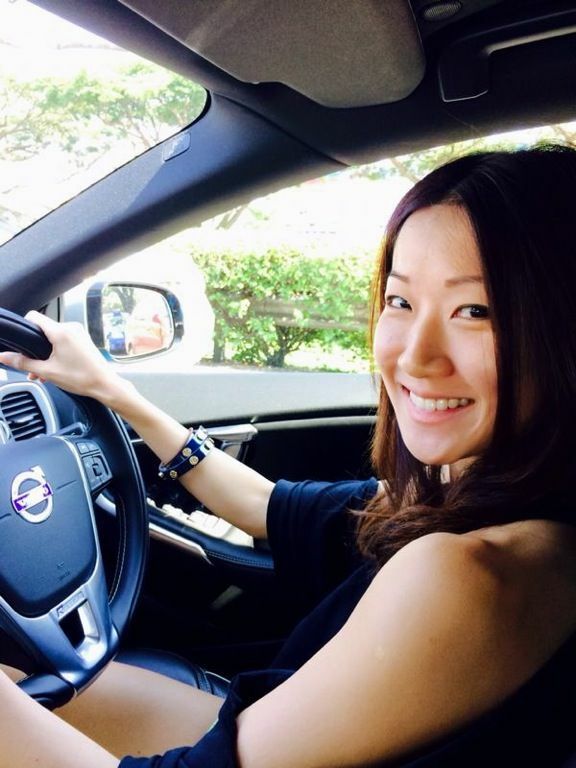 Thank you Volvo Singapore for the weekend ride! 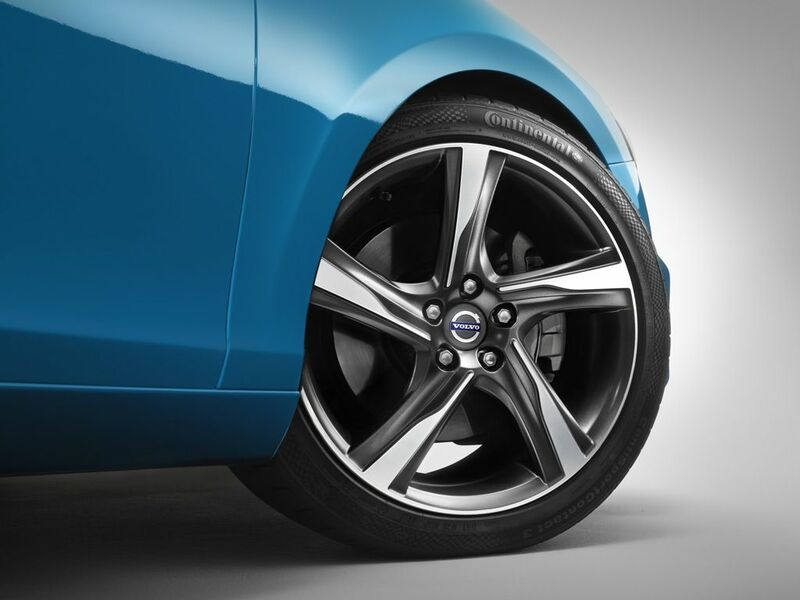 For more information on the V40 R Design, check out the Volvo website or head on down to your nearest showroom to give it a test drive. Here is a quick summary on our ride. Speed: We managed a 0-100kph sprint in 8.2 seconds. 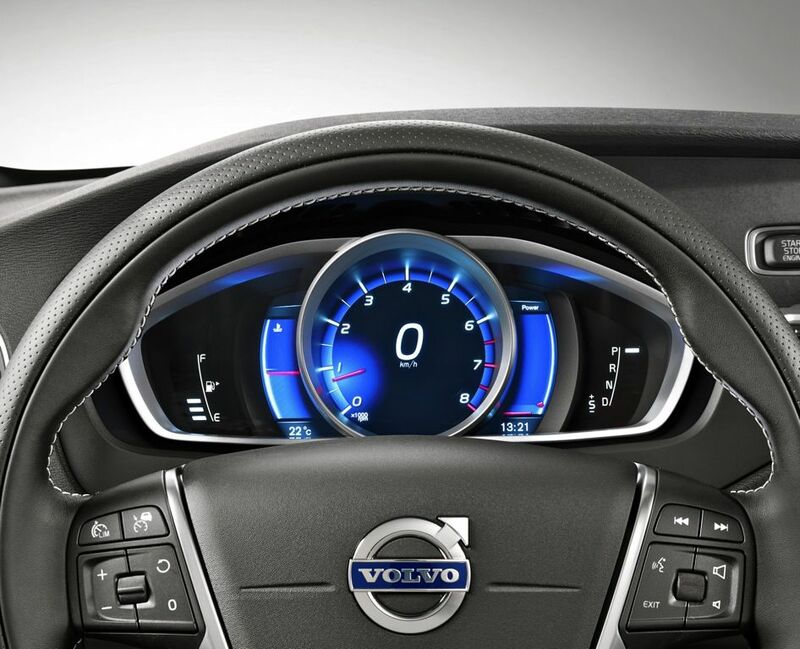 Fuel consumption: Volvo claims a combined consumption of 6.1L/100km for both city and highway driving.